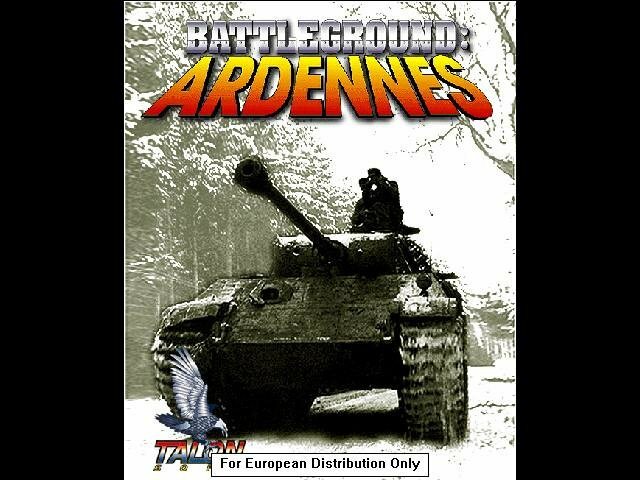 Battleground Ardennes is a hex-style World War II strategy wargame. In it, you get to play either the Allies or the Axis powers in either scenarios of the individual battles, or the full campaign. The game features some very nice graphics and digitized video to enhance gameplay, which is carried out in a series of turns each divided into 10 phases, 5 phases for each side, which include indirect fire, movement, defensive fire, offensive fire and assaulting. 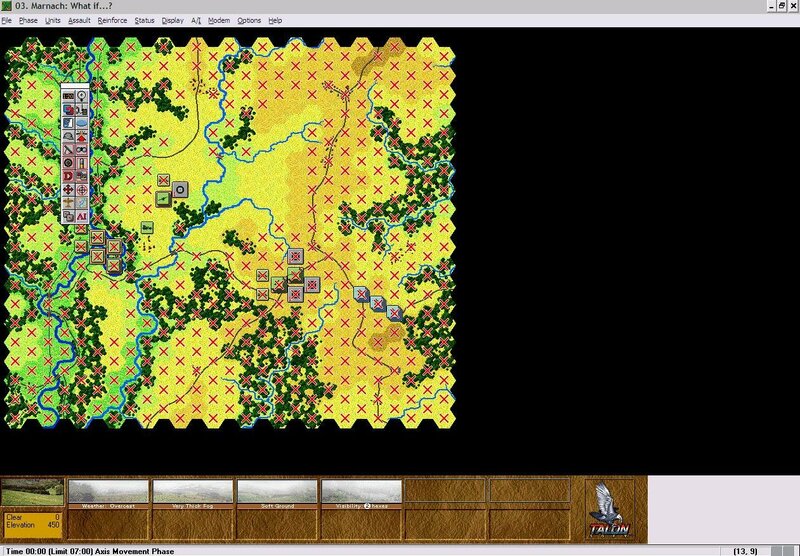 The screen is laid out in hexes, of course, and the computer controls the outcome of all the separate battles. The units involved are the basic ones involved in World War II: tanks, infantry, artillery and air support. When you click on a hex to get information on the units in that hex, all of the units are represented by very nice-looking artwork in the four windows at the bottom of the screen. There’s also a window showing photo-quality shots of the terrain of that hex. To choose a unit to give orders to you simply click on the unit’s window. Everything is laid out very well and is simple to control. Hex board games sometimes get into the practice of “stacking” hexes, that is, putting more than one piece on a hex. This tends to create confusion, making it difficult to get an overall view of each side since there are pieces hiding under other pieces. It seems that some hex games for the computer have responded to this by simply not allowing more than one piece on a hex. 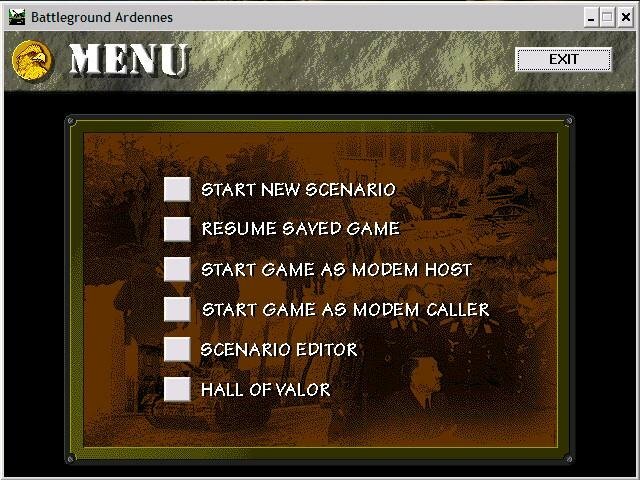 However, Battleground: Ardennes has solved this problem by allowing up to four pieces to be stacked in a hex with the player being able to view the tiles through a set of four windows at the bottom of the screen. This is a very simple yet efficient method of stacking pieces. Gameplay has a set time to play to – not real-time but time taken up by the actions of your units. There are certain objective hexes to win through the game, and the outcome is based on the number of the hexes, and how many points they’re worth, held by each force at the end of the game. 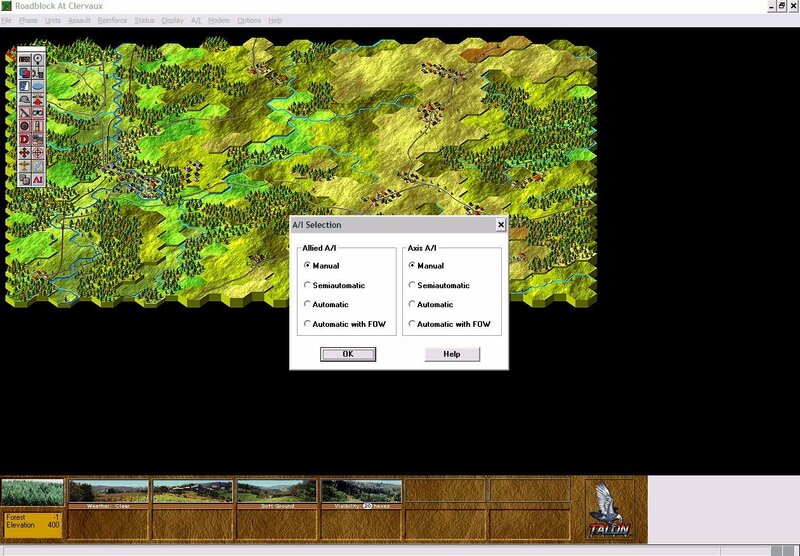 Play goes from phase to phase with the computer calculating the outcomes of the individual battles. 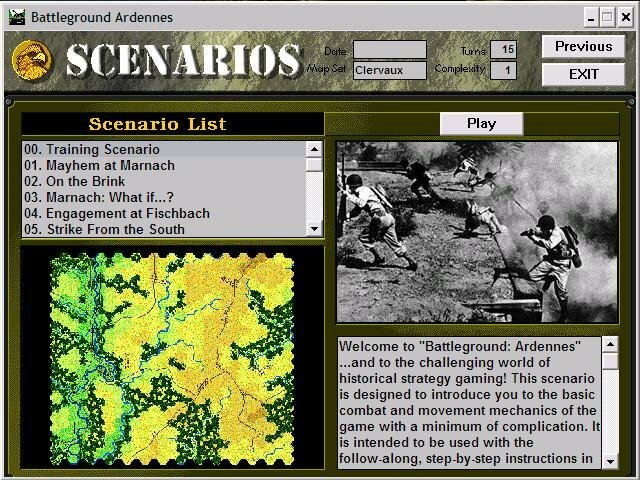 The game play is very straightforward, firing at opposing units is as easy as pointing and clicking, and if you’ve played hex-based games before you’re already familiar with the basic operation of Battleground Ardennes.